For thousands of years, there have been fables of the phoenix — a mythical bird of great beauty — that would burn into a pile of ashes at the end of its life and be reborn. The notion of a new beginning has made the phoenix a popular symbol throughout history. From Ancient Egypt and Greece to numerous religions, it represented a chance to start fresh. In modern times, the phoenix may just be another tall tale, but what it stands for has not been lost. It has become analogous with competition in many ways. As athletes taste defeat and look to rebuild their skill sets and confidence, the parallels to rebirth are ever present. 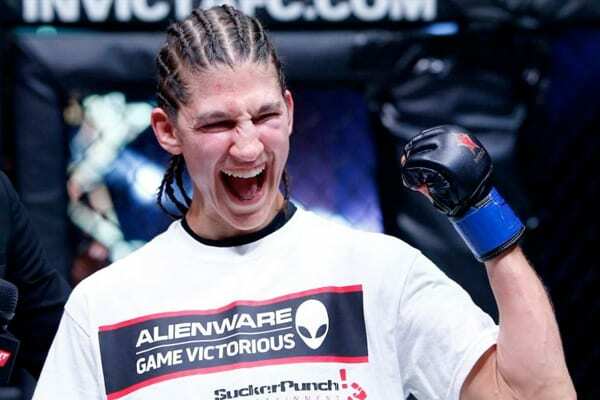 Few can relate to the notion more than Invicta flyweight Roxanne Modafferi. An 11-year veteran of mixed martial arts competition, the 32-year-old has experienced her fair share of ups and downs in the sport. 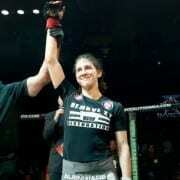 The difficulties that Modafferi encountered during the six-fight skid were something new to the positive-minded fighter. She had begun fighting professionally when the sport was still evolving and, thanks to her upbringing with traditional martial arts and moving to Japan after college, Modafferi’s early career was very successful. “The gym I joined had a lot of other female fighters — it was rare for that many female fighters to be in one group — and they trained really hard,” recalled Modafferi of her early days overseas. “There were smaller guys (compared to Americans), so I got really good training there. Modafferi began to notice the shift long before her losing streak reached six. It wasn’t just a different approach to training, but weight cutting, strength and conditioning and dedicated cardio training that was largely foreign to the fighter. “I remember fighting Sarah Kaufman in Strikeforce, and she was so much stronger than me,” explained Modafferi. “I saw her cutting all this weight, like 15 pounds, and I was walking around at 140ish, only five pounds over. I remember reading about how she was training three times a day, strength and conditioning, running. During her time on the show, Modafferi snapped her losing streak, but only unofficially, as the bouts were considered exhibition contests. However, it was something else during TUF that set the stage for her career resurgence. Although Modafferi, still competing as a bantamweight, would fall short one more time in the cage, her opportunity to rise from the ashes was already set in motion. She moved back to the United States to train under the tutelage of John Wood at Syndicate MMA in Las Vegas and inked a contract with Invicta FC. “I chose Vegas after debating between it and California. Bryan Caraway, one of the coaches on ‘The Ultimate Fighter,’ recommended Vegas because it’s the hub of MMA and there’s a lot of good gyms. I tried a few gyms and chose Syndicate,” said Modafferi. One of the biggest perks of signing with Invicta was that Modafferi could again return to her natural weight class. With the benefits of her new gym, she quickly reeled off back-to-back wins in the Invicta cage over Tara LaRosa and Andrea Lee to complete her rebirth as a fighter. It’s more than just weight-cutting that has been the key to Modafferi’s rejuvenation. Her time with Wood at Syndicate has transformed her entire fight game in just over a year’s time. “He was teaching me stuff from the very beginning that I was able to absorb very quickly,” acknowledged the flyweight. “That was different than all of my other training experiences. I’ve always had a hard time learning and absorbing the striking training. The way he explained it and had me do the techniques, it’s like magic. Reinvented as a fighter and riding the momentum of the wins over LaRosa and Lee, Modafferi will rematch a familiar face, Brazilian Vanessa Porto, in the co-main event of Invicta FC 12 on April 24 in Kansas City, Mo. Modafferi scored the first and only TKO of her lengthy career when the pair met previously in 2008. She’s ready for a repeat performance. If Modafferi’s prediction holds true, she could find herself challenging for Invicta gold in the near future. After her struggles, that would exceed everything she hoped for when she joined the promotion. “I didn’t think too much about a title shot. I just wanted to get some wins and show that you can teach an old dog new tricks,” she quipped. However, the prospect of challenging the champion Honchak is certainly a motivator for the Delaware native. After all, Honchak is the only fighter ever to force Modafferi to submit to a choke inside the cage. Modafferi will have to get past Porto first, but if her previous two fights are any indication, don’t count her out. She’s embodied the phoenix from the moment she first set foot in the Invicta cage and she’ll look to continue her ascension through the 125-pound ranks while leaving ashes in her wake. Roxanne would like to thank her coach, John Wood, her training partners, her parents for always supporting her and her sponsors: Dragon Do Fighter, Remove It Restoration, Top Notch Fighter, Alienware, Okashi Connection, East & West, The Void, Killer Tendencies, Mei-Li Fighting, Lemon Badger, SkinnyFats, Herbal Papaya, Dominate Your Game, wetdryvac.net and WarTape.